Try this yummy pesto made from wild ingredients. I love the idea of collecting nature’s bounty and making something delicious. 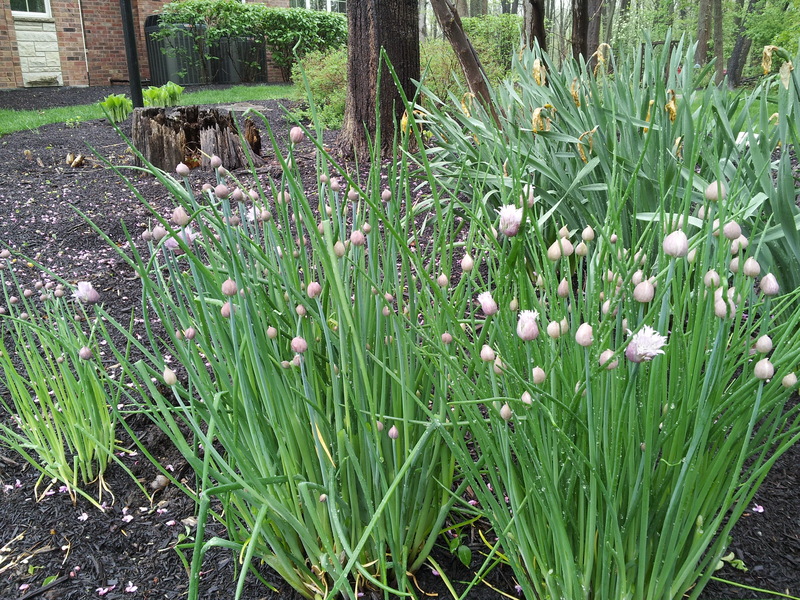 The main ingredients are chives and ramps. What is a ramp, you ask? Ramps are a delicacy in some NY restaurants and the first green popping through the forest floor in the woods behind my house. They are in the onion family with a onion-type bulb buried 4-6 inches below ground (and can be a pain to dig up, so for this recipe I just snipped leaves). They have a reddish stem leading to graceful, long green leaves. 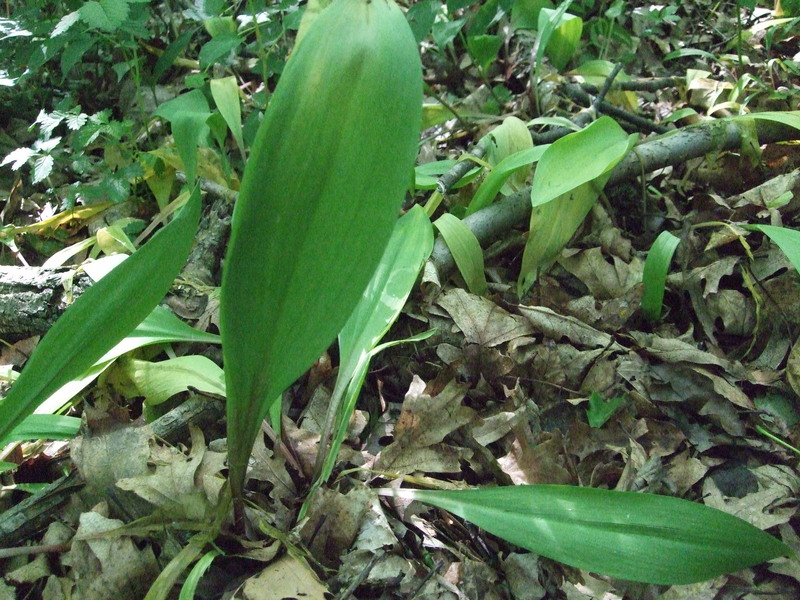 Ramps are best early in the season April – May in Illinois. Later, they have stronger tasting bulbs and more bitter leaves. My first experiment was a half and half combination of ramp leaves and chives, but this recipe can be made with either or in any combination of both. In a food processor, combine the greenery with almonds until well minced. Add the garlic and cheese and process until fine, scraping the bowl along the way. This will be dry. Add olive oil until the desired consistency is reached. Serve on crackers, crispy bread, or even tortilla chips. This is a very forgiving recipe, so feel free to play with the amounts given and go with your taste buds. When my granddaughter, Julia, took the first bite, she said OMG. That got us started with other experiments. We slathered the pesto on chicken as it baked in the oven. Yum. Julia sauteed slivered red and yellow peppers and cherry tomatoes and added a healthy dollop of pesto. We then stirred that into cooked wild rice with cooked pea pods for a wonderful side dish. Dinner was a very bright green, but quite delicious. PS: I found the original chive pesto recipe at gardenforthehouse.com, so check out that fabulous website. ‹ PreviousHappy Month of May! Do you have a botanical name for Ramps? They look rather like wild garlic but are probably called something else here in UK, so it would help identify the right plant. This sounds tasty, and if I can find Ramps, I’ll give it a try. 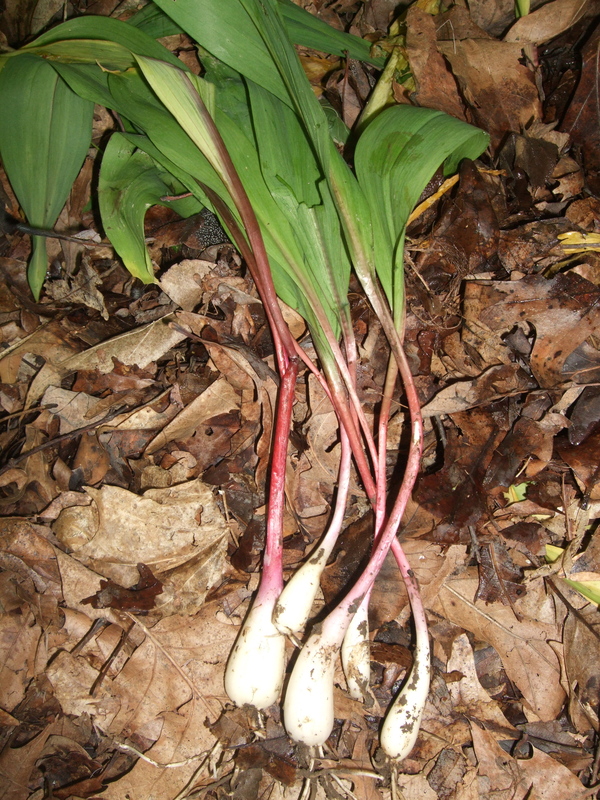 Hi Ian, I had to look it up, but the botanical name for Ramps is allium tricoccum, native to North American. It is common in the eastern US and Chicago was named after it. It’s been so popular as a delicacy in Canada that it is a threatened species and its collection from public lands is banned. It’s also called wild leek and a few others. Ramps were introduced for cultivation to your part of the world 150 years ago. The UK also has rampion, but it an entirely different (though still edible) plant. Thanks for making me look it up. Hope you can find it.